To be successful in logistics means the business represents both an economic and an ethical dimension in equal measure. Just and fair treatment of business partners, clients, as well as employees is particularly important, because it represents higher moral standards for doing business than those provided by laws and regulations. Just as every successful start is based on good preparations and a realistic business plan, so Alta Logistika - through market analysis, budget availability, cash flow projections and lots of enthusiasm and energy – has reached more than 300 satisfied clients in just two years. Alti Logistika as a company is today dedicated to satisfying world standards, which implies swift responses, thoroughness and dedication of each transport consignment and customs procedure, as well as constant care for each client. 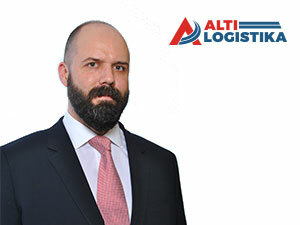 Alti Logistika enjoys a good reputation on the transport and logistics market. How have you managed to position yourself in such a way within less than two years? The enterprise Alti Logistika was founded at the beginning of 2016 and is a part of the company Alti, one of the leading distributors and manufacturers of computers, consumer goods and communication technologies. 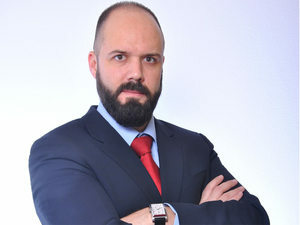 As Alti Ltd owns a rolling stock of 60 goods vehicles and 2 warehouses in Cacak and Belgrade, the time has come for the idea to come to fruition of founding a company which will contribute to the improvement of the existing logistics processes and provide services to third parties, says Nikola Jevtic, Managing Director of Alti Logistika for eKapija. - Alti Logistika started working on January 4, 2016. We had five employees initially and were fully operational from the start. We then formed the customs department and the sales department. There are ten of us now and we are planning further employments. Our team is made up of young, ambitious, promising and highly educated people, mostly graduates of the Faculty of Transport and Traffic Engineering and colleagues with many years of experience in foreign and local logistics companies. Last but not least, there are seniors in this business, highly experienced experts for foreign trade and customs formalities. I believe we have created an ideal combination of youth and experience.